Arsenal football club in the Wenger era has often been accused of being a little too cautious in transfer season, particularly in the first decade of this century, with fans increasingly frustrated by the lack of trophies that a top Premier League club would expect. In the last few seasons, Arsenal F.C. have made some top signings. Mesut Ozil was labelled the king of assists when playing at Real Madrid for 3 years. Ozil was available in the summer of 2013 and Arsenal F.C. wrapped up their most expensive deal in the final minutes of the transfer window. This big money world class signing broke the club’s transfer record and Ozil repaid this with 19 assists in the Premier League, one shy of Henry’s record. Ozil won back-to-back FA Cups with Arsenal in his first two seasons and a World Cup with Germany. Alexis Sanchez was signed by Arsenal in the summer transfer window of 2014 and adjusted to English football rapidly. Alexis ended the 2014-15 season with 25 goals and scored the at the FA Cup. A slight dip in form in the 2015-16 season sees him back in good form in the 2016/17 season. 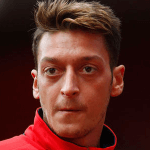 It is hoped that he and Ozil have their best season together and finally get Arsenal F.C. the league title. Granit Xhaka transferred to Arsenal F.C. in May 2016. His playing style makes him a good fit for the Premier League as he likes to go strongly into his tackles. It is hoped that the club’s second most expensive transfer will see Granit as a worthy replacement for Vieira. 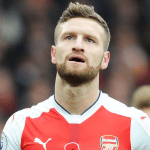 World Cup winner Shkodran transferred to Arsenal F.C. from Valencia on a long-term contract in August 2016. Shkodran has international experience, featuring three times in the World Cup-winning side of 2014 having already won the Under-17 European Championship before going on to feature at every level of the national side. At the 2016 European Championship, he scored Germany’s first goal of the tournament. 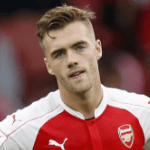 Calum Chambers was bought from Southampton in the summer transfer window of 2014. He was purchased by Wenger as a versatile player who could play as right back, centre back or as defensive midfielder. He hasn’t yet settled in any of those positions. The right back position has been taken over by Bellerin and his error-prone performances as a centre back has demoted him to a backup player. His best moment to date is his “goal of the month” at the FA Cup. Jose had mixed success at Arsenal F.C. He started on a high when he single-handedly knocked out neighbouring rivals Chelsea in the FA Cup. After showing some good form in 2004-05 season, starting with two hat-tricks in the pre-season and a goal in the first 6 games of the season, things went downhill. In 2006 he went on a season-long loan to Real Madrid, after which he was sold to Atletico Madrid and now plays with Sevilla. 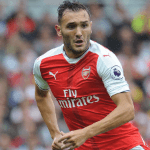 Lucas was the fourth signing of the 2016 summer transfer window for Arsenal F.C. After making over 50 appearances in the Ukrainian Premier League, Lucas went on loan to Dinamo Kiev. 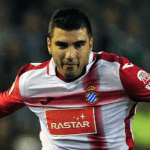 He then moved to the Greek side PAOK and after 2 years returned to Deportivo, initially on loan and after an encouraging debut season, he joined permanently. The striker enjoyed one of his most prolific campaigns in 2015/16, scoring 17 times in 35 games and equalling a club record held for goals in successive games. After being at Manchester United since a boy, Danny ran out of favour when Louis Van Gaal took over. On the last day of summer transfer window in 2014 he completed his transfer to Arsenal F.C. 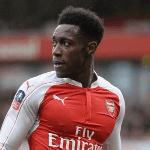 Welbeck’s 2 years at Arsenal have been marred by injuries, but he has shown promise whenever he has played and became only the third Arsenal player to get a Champions League hat-trick in 2014. A technically brilliant midfielder, feared for being truly two-footed with his trickeries and dummies, Cazorla took no time to adjust to English football after his transfer to Arsenal F.C. He created a record by amassing 4 assists in one Premier League game against Wigan. Ozil was signed one year later and Cazorla was pushed out wide but his link-up plays made him equally lethal. Since 2015, he has been successful in his role in central midfield beside a defensive midfielder. 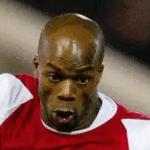 Wiltord was an important player in the ‘Invincibles’ team and overall, played 175 games for Arsenal. He was either paired with Henry or played on the flanks. In his time at Arsenal F.C. the club won back to back FA Cups in 2002 and 2003. He also won 2 league titles, in 2002 and 2004, when Arsenal created history by going an entire Premiership campaign unbeaten. Wiltord scored the winning goal at Old Trafford in 2002 which gave Arsenal the league title after which they won the FA Cup to complete a famous double. Wiltord later lost his place in the starting eleven and went back to France to play with Lyon in 2004.